We strive for premium Bengals that are absolutely gorgeous, healthy, and with the best of temperament for years of love and companionship. Our Bengals are living mystical canvases of artwork that catches the eye. You will love spending hours watching these graceful, shimmering, elegant creatures as they move throughout your home. You just can't help noticing. 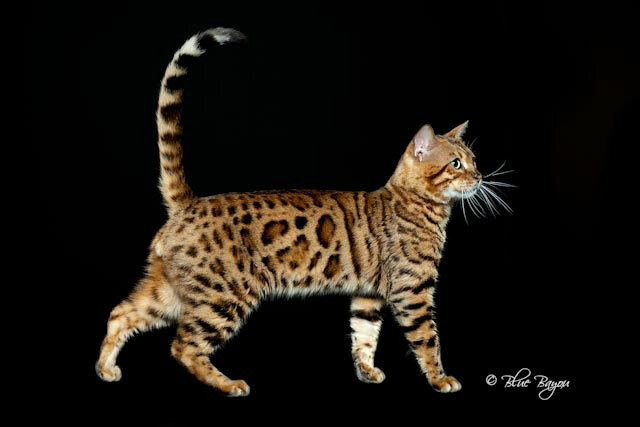 If you are visiting AllAboutBENGALS because you are wanting to learn more... researching, investigating, and wondering more and more about this very special breed of cat; well, let me tell you, I've been there. I know what it is like! The excitement and curiosity grows like a feverâ€¦. turning into an obsession.